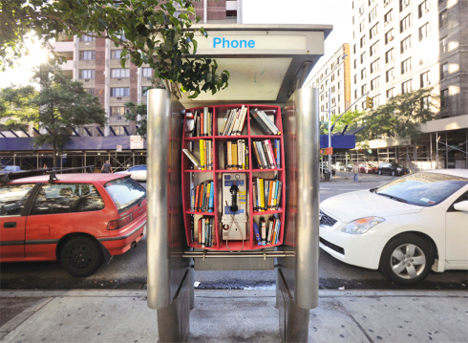 Free mini libraries are popping up all over the country, filling reclaimed phone booths and birdhouse-like wooden structures on posts. Some are more complex, like this yellow pop-up creation by Stereotank. 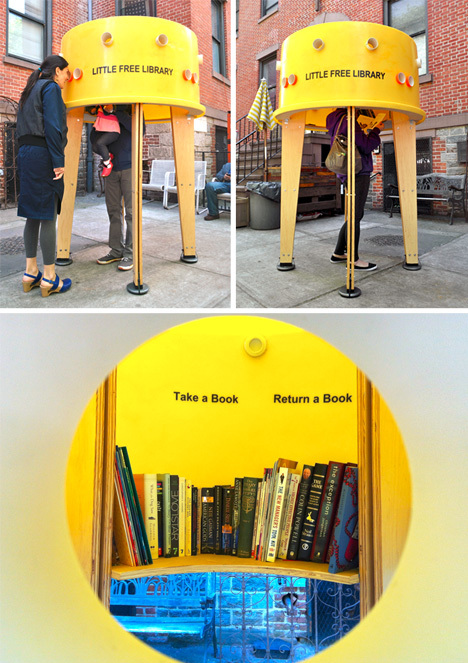 Anyone can create their own through Little Free Library, a nonprofit project offering pre-built library boxes or plans to build your own as well as an online database that helps people find one in their own neighborhood. There are about 6,000 of these little lending locations around the world. 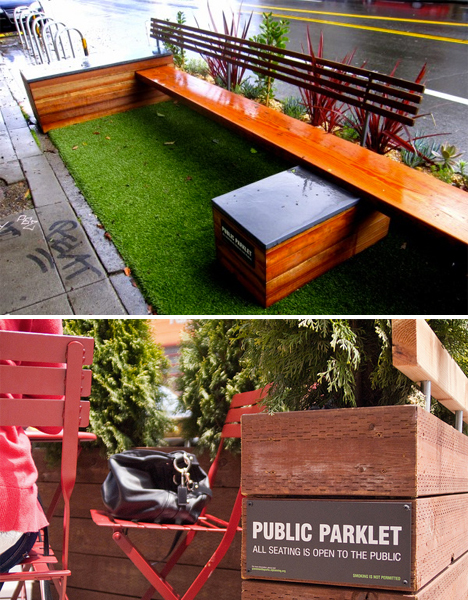 Going beyond a few pieces of strategic furniture, DIY parklets turn parking spots, alleys and disused urban spaces into public recreation space. They started out as portable kits of sod and seating, occupying parking spots (while paying the meter) just for a few hours or for the day. But these curbside hangouts have grown so popular that some cities have begun to officially sanction them, with Los Angeles going so far as to offer DIY urban design kits to members of the community who want to create their own. 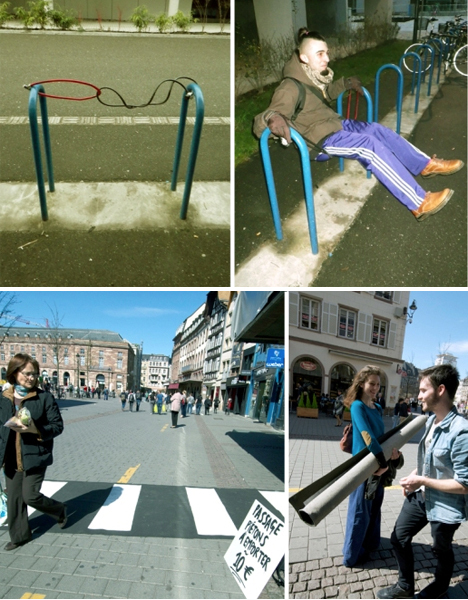 Urban hacktivist Florian Riviere has done just about everything on this list and more all by himself throughout France, including creating comfortable backrests for public benches, unfurling DIY crosswalks (and jokingly charging passersby for passage) and adding soccer goal nets to either side of a busy street. 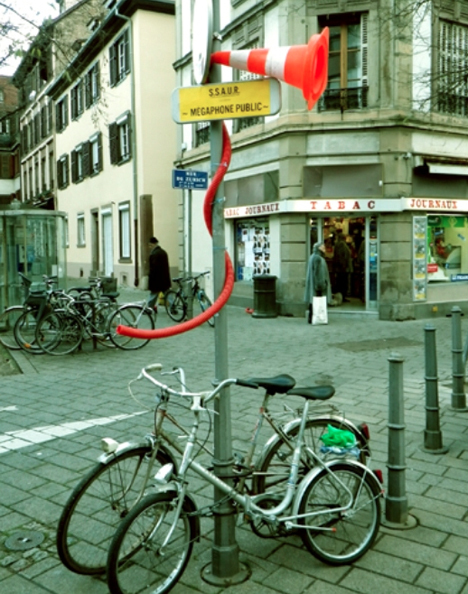 These interventions add new uses to all sorts of urban fixtures, making the city a lot more fun. 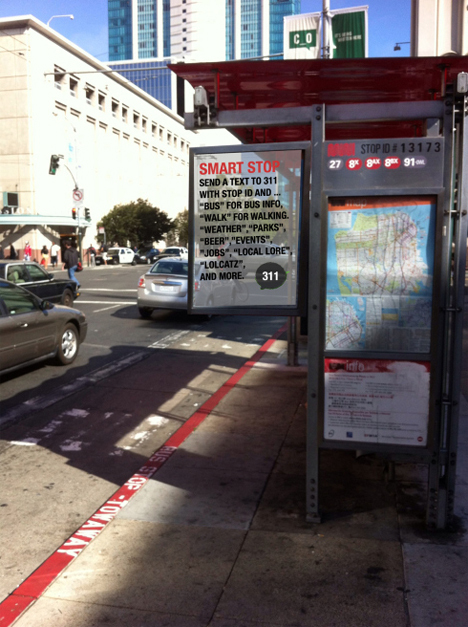 Created by ‘Hack Your City,’ the Smart Bus Stops project is a collective (and dirt cheap) effort to answer any questions that bus riders might have about certain stops in a particular city, from the location of the closest burrito joint to info on the bus transfers needed to get to various destinations. The project was created for SMS rather than as a smartphone app to make it as accessible as possible, and reproducible in areas of the world where text is far more prevalent than internet use. Urban hackers hand-built signs made of reclaimed materials and added them to area bus stops, inviting the community to participate.